Painting watercolor scenes can be a relaxing way to unwind after a long day. Set aside some quality time to paint in your own studio, or at your dining room table – or wherever you create! Sketches for each scene are available for download as large images on an A2 page, or as a small image appropriate for a greeting card. Those able to sketch freehand can approach them that way, but folks who need help in tracing an image can do so using transfer paper or lightbox to sketch a few outlines onto watercolor paper. Note: these materials were originally created as a free series on YouTube by instructor Sandy Allnock. They were an early foray into her watercolor teaching, and have had minor edits applied for this course. This course is a great way to try out Sandy’s teaching style! I love that the supply list is limited to good quality supplies which are important to success. I love that there is NO drawing skills necessary and the focus in on the painting. Basic watercolor skills are taught and built on. I found this course was quite easy to complete, so if you are looking to create beautiful art and complete a short course this class is IT! Sandy is an amazing teacher who encourages and enables her students to be successful in their art. 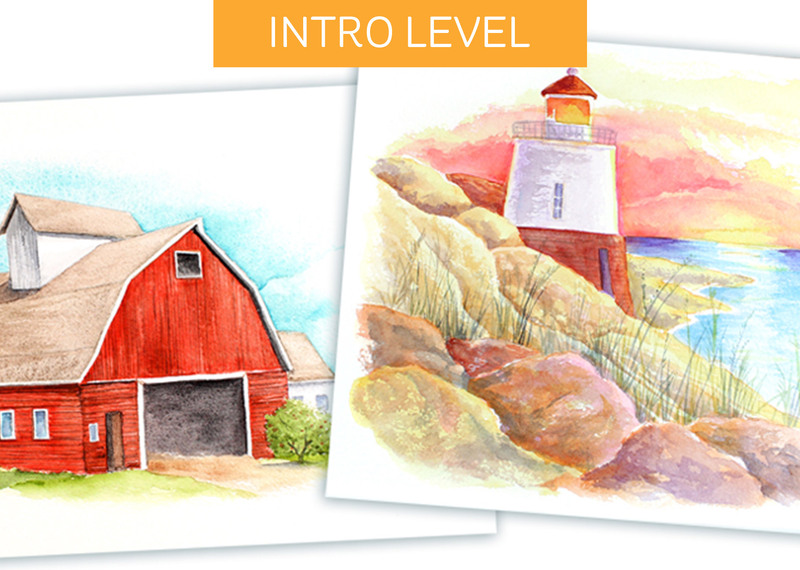 In this course, you’ll work through two paintings suitable for framing! Taught in real-time, each pass of the process is broken into a separate video with drying time between…. Creative worship – making art in your Bible – can, for many of us, be a relaxing and spiritual experience. For others – it does nothing but add stress….